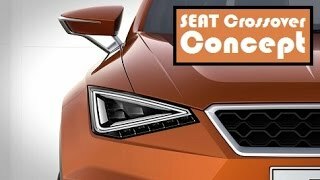 It looks like Seat got the fact that they need a massive makeover in order to get some buyers in this rising automotive market. The reason behind this thought isn’t random or something that they said, but the recent unveil of Seat Leon Crossover Concept 2015 at the Frankfurt Motor Show 2015. Though this isn’t the only piece of engineering that they introduced but today here this is what we’ll be talking about. 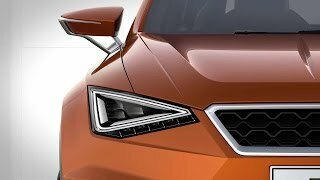 Let us have a descriptive look at the review of Seat Leon Crossover Concept 2015 to know more about it. Being borrowed from the Seat Leon Cupra 290 2016, we aren’t surprised that the interior of Seat Leon Crossover Concept 2015 is identical to it. However to add the blend of distinctness company gave the accents of orange to the black interior. The accent carries its blend and spread over to the seats and door panels in form of Alcantara while the gear knob, steering wheel and carpet get the essence of contrast stitching over them. Apart from this almost everything is just the same let that be the three-spoke steering wheel, the instrument cluster or the center stack and console which I personally take as nothing wrong, as carrying something good is no harm. Just like the interior, exterior of Seat Leon Crossover Concept 2015 also resembles to the recent Cupra. The only difference (primarily) that you might notice is with the wheel arches and bumpers which are molded to match with the crossover entity of the model. Upfront the traditional grille sits amidst the LED headlights which get accompanied by the C-shaped daytime running lights. You’ll also notice the cladding work over the wheel arches and door sills which make the model look like a SUV. Moving to the rear end things get sportier. Looking the model from a distance you’ll significantly notice the raised height of by additional 1.6 inches which gives it an off-road monster look. 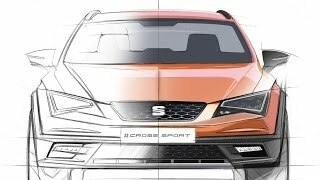 In all rounding up the exterior details of Seat Leon Crossover Concept 2015 all I would say is, we can expect from company now. Beneath the hood of Seat Leon Crossover Concept 2015 is the resembling 2.0 liter four-cylinder engine cranking total output of 295 hp and peak torque of 380 nm paired to six-speed DSG dual-clutch transmission. With this power tolling the massive 19” wheels mounted model, the top speed of Seat Leon Crossover Concept 2015 touches the mark of 155 mph while the 0-62 mph sprint can be knocked in 4.9 seconds.